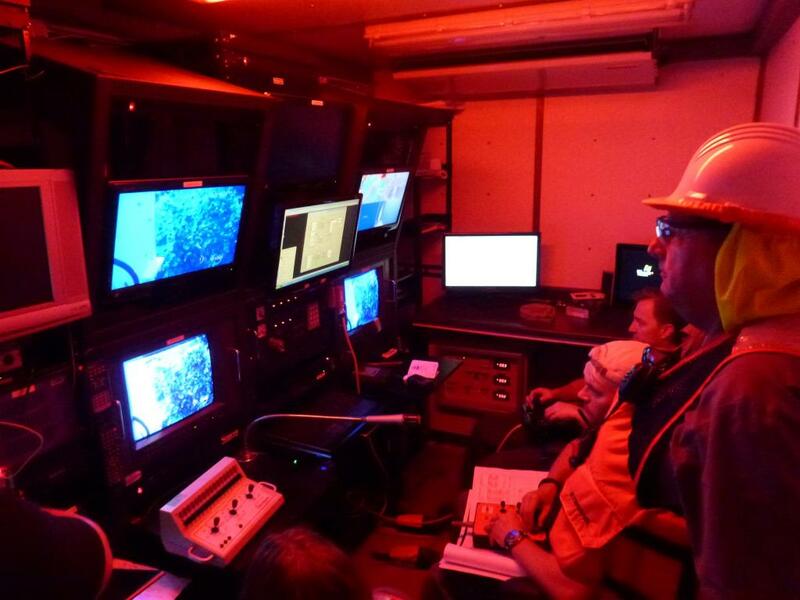 ROV Makes Deep Sea Pipe Repairs - Global Diving & Salvage, Inc.
ROVs play a vital role in making deep sea repairs that would be a challenge for divers. 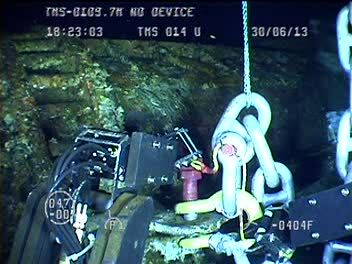 Global’s Cougar and Falcon ROV systems were mobilized to Hawaii to facilitate repairs on a 40” coldwater pipeline transition section in 500 feet of water off of Keahole Point on the island of Hawaii for the Natural Energy Laboratory of Hawaii Authority (NELHA). 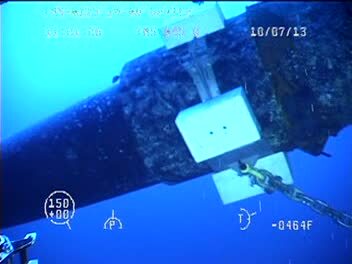 The 40” pipeline is unique in the fact that it was installed with gravity anchors to a depth of 457 feet, and from there to a depth of 2000 feet it took the form of an inverted floating catenary. When the deep sea pipeline was installed in 1987, an error made then would lead to future failures of the chain bridals and anchor chains. In addition, growth on the pipeline was weighing it down. Global’s ROV crew, operating off of the Healy Tibbitts 544 crane barge, was tasked with restoring the pipeline to as-designed condition. 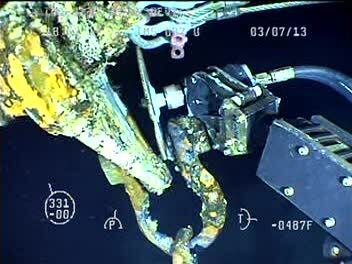 The Cougar ROV cut loose two 500-foot long, one-and-a-half-inch stud link restraining chain bridals and replaced them. The pipe was cleaned and obstructions cut loose for the installation of new pipe clamps in three places. One-and-a-half tons of flotation was added at each clamp location. Two one-and-a-half-inch stud link chain bridals were added at the bottoms of the clamps and secured to a 40 ton gravity anchor. A one-and-five-eighths-inch stud link chain bridal was added to the offshore bridal. Special underwater tooling was designed and manufactured for the project, including a hydraulic chain tensioner, three-and-a-half and 10 ton winches, and 40- and 48-inch hydraulic actuated pipe clamps that were tested in Seattle before being deployed to Hawaii.